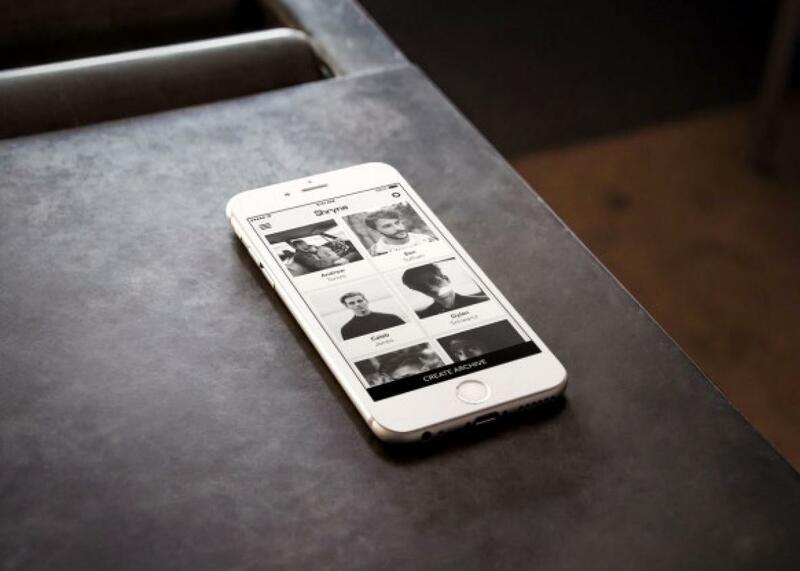 Shryne app curates your messiest past relationships. Do we want it to? This App Digitally Curates Your Messiest Past Relationships. Yay? The Ex-Box: Open if you dare. Years ago, a boyfriend and I drunkenly wandered into a construction site, where each of us stole a doorknob for no reason other than it would be “a thing” we’d done together. It sounds stupid in hindsight, but it was at that point in the relationship where everything is a little blurry because you’re emotionally hurtling toward each other, so you just go with it. The doorknobs sat on the mantel in the apartment we shared, and when we split up three years later, my doorknob went into a box, and the box went under my bed. Even now, coming across that doorknob is like a fishhook tugging at my gut. And so it goes back into the box, with everything else from my past that is important, if occasionally painful. We all have a box. And if you’re anything like me, you open it from time to time and after some momentary, futile resistance, gingerly go through it. Maybe you start with a card. Or a photo. Or whatever it is that’s your version of my doorknob. Hours later, you’ll realize you’ve dissected every memento you pointedly keep hidden from yourself. Shryne is the digital version of that box and the obsession it compels. The app collects data from your social media and email and other accounts and creates something akin to a digital scrapbook. Rather than letting you stumble upon these things in your Facebook feed or Gmail history, Shryne encourages you to seek them out so it can label and organize them. It’s like a beautiful filing system for your digital past, a box for everyone in your life. You certainly don’t have to use it to archive past loves. Shryne can be used for any relationship, and in ex. The idea is to collate and curate just about everything you say and share online. It will gather images from Facebook, Instagram, or your camera roll, as well as your texting, Gchat, Gmail, and Messenger histories. Broadly speaking, Shryne allows you to create a beautiful landing page and timeline for all your digital interactions with someone. Shryne isn’t entirely predicated on the idea of reliving failed romances. In large part, it’s core mission is to unite all the digital ephemera you’ve scattered across the Internet. “Shryne’s objective is to make getting files from all these sources as painless as possible,” Cherdabayev says. But while Shryne is about collecting all the files related to any relationship—mom, co-worker, best friend—everyone should just assume the ex category is going to be a popular one. So yes, Shryne is designed to create an archive of any relationship. Your mother. Your best friend. Your boss, if you’re weird. But let’s be honest. Most people are going to dig up at least one ex. After all, nearly 90 percent of us use Facebook to keep tabs on an ex. We just can’t help ourselves. It isn’t the easiest tool to use (something Cherdabayev readily admits), and there are several things Shryne doesn’t include but should (WhatsApp, for example). A forthcoming update should address some of its early bugs. But the bigger problem isn’t how Shryne works, but whether you really want it to. As much as we all like to occasionally sift through our box, doing so digitally might do us more harm that good. A box can be hidden away. An app is always right there. Still, as someone who loves digital organization and traipsing into emotional minefields, I had to try it. I tiptoed into Shryne by making an archive for my sister. It was easy and fun, and I felt no fishhook tug. Which is why I knew I had to dive in and make an archive for my ex. The problem with any relationship organizer is that it tries to do something really, really hard: create a record of our past. The past is messy, especially when it comes to relationships. So messy that we sometimes delete it. We delete Gmail archives and Facebook Messages. We delete people from our phones, because simply seeing the number is too much to bear. We delete photos because even an accidental glimpse might send us reeling. Even the stuff we keep can be messy, even meaningless. It can be a little depressing when nearly all the archived emails from your most recent relationship read something like “Can you get bread? Do we have milk?” followed by a Kanye shrug GIF. It might have been a great relationship, but seeing that all your communication was so banal makes you wonder if it wasn’t. Shryne can both minimize some interactions, while giving others outsized emotional heft. There’s also the fact that even the best curator will inevitably leave something out. Yes, it’s a safe bet Facebook, Instagram, and Gmail preserved great swaths of your relationship, but there are many things Shryne completely ignores. Your Amazon history is but one example. Even now, whenever I peruse my order history, I come across gifts bought for an ex. My Google Maps is another; the timeline pinpoints our adventures together. Spotify playlists—the ones made while we were together and when we were breaking up. WhatsApp chats, Flickr photos. None of these things make it into the box Shryne creates for you. What does make it in, though, is hard to argue with. You can’t remember things with rose-tinted glasses like you would when you pick up a photo or a T-shirt, and you can certainly warp your mind into believing you were the better half. But seeing things in plain old pixels should make things starkly accurate. But it’s simultaneously sobering and heady to see it all contained in your phone: You can’t reinvent how a conversation went, because it’s just there in black and white. Here’s the thing though: The parts that are missing—what was deleted or what happened in real life moments after—those holes are what your brain tries to fill in when you’re scrolling through Shryne. And that’s a dangerous game. In any relationship, romantic or otherwise, there are things we keep and things we discard, and we make those choices for a reason.The problem with Shryne, or maybe love in the Internet age, is it allows us to keep far more than we should (or knew we kept) while not allowing us to hide it. It is always right there. After all, an app on my phone screen begs for my attention far more loudly than a box under my bed. A recent study asked more than 200 Facebook users nearly 80 questions about their relationship with their exes on Facebook. “People who accepted former partners’ invitations to become Facebook friends,” it found, “were much more depressed than those who did not.” Time heals all wounds, but it doesn’t help when you’re constantly seeing updates in your feed. In other words, if you have an app that beautifully collates your digital memories of someone, you’re going to look at it and it’s going to hurt. This is especially true right after a breakup; the first two or three months are especially raw and probably not the time to make or peruse a Shryne archive. Marshall’s research found that people who kept tabs on an ex’s Facebook profile experience “greater distress, lower personal growth, more negative feelings toward the ex … but also greater longing and sexual desire for the ex” than those who cut digital ties. Of course, there’s some chicken-and-egg thinking at work here. “People who use Shryne for an ex-partner may report worse post-breakup recovery, but it’s also likely that people who have worse post-breakup recovery would be more likely to use Shryne,” Marshall says. It’s difficult to determine whether something like Shryne might cause someone to have a hard time moving on or simply make an already difficult process that much harder. It’s not all bad news, though. Marshall says people who dwell on a breakup can grow from it, and Shryne might help them move on. “Something like Shryne might allow some people to reflect on the past relationship and breakup, piecing together a narrative about what went wrong,” she says. She may be on to something. To fully explore what Shryne can do, I created an archive of my ex (he of doorknob fame). Looking at my archive, I saw patterns emerge. I saw myself picking the same fights, using the same defenses. I’ve got some level of emotional maturity and I am aware of my habits, but seeing the exact same wording in two different arguments was a revelation. The silver lining to the heartache Shryne (and digital memorabilia in general) can create is perhaps it can keep us from repeating the same mistakes in subsequent relationships. The risk you take for this insight, of course, is navigating some dull emotional torture. But pain is the touchstone of all growth. What surprised me most, though, is how incomplete my digital past is, and how much of it I’d thrown away. I’d long since deleted untold gigabytes of our Ghat and Gmail history. It was the same story with our SMS. And the app can’t access all your Facebook photo albums, so I had only a handful to include. Once Shryne did collect everything, reading it was downright shocking: I watched us go from flirting to fighting and then breaking up—something that occurred over the course of four years—within a minute or two of scrolling. So now, the archive sitting in my Shryne app is a pitiful synopsis of what was a rich, formative, and incredibly important experience. Its incompleteness is just a reminder of how much information I suppressed and distanced myself from. In concept, Shryne makes a lot of sense. For family and friends and even acquaintances, a beautiful landing page of your most important relationships is a novel idea. It’s wonderful seeing a friendship evolve, or remembering a loved one who’s passed. But if you’re going to wade into these tricky emotional waters, there is one category that should be avoided by all but the strongest swimmers: your exes. Leave them in that box under the bed and whatever corner of the Internet deleted data is banished to.